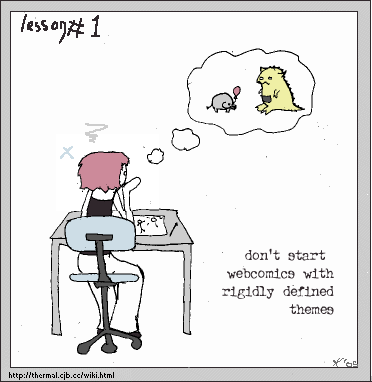 I thought I'd celebrate comic #60 with THE FIRST EVER LESSON. And the most important. Also, I don't know if you're aware, but it's actually Steal Ideas From People Named Andrew week. You should all totally find someone named Andrew and steal their ideas! And perhaps even more important is the fact that I'm going away for the weekend. This means no Friday or Sunday comics! But perhaps more than one on Monday?